These guys must be on to something- because they were recently voted Seattle’s best donut by Seattle Metropolitan Magazine. Since they opened their original store in Mill Creek, Frost has been spreading like… well, like delicious frosting all over the Seattle area. They offer everything from the classics to the more adventurous Smoky Bacon Maple Bar, Cup O’Cocoa, Vanilla Latte Bismarck, and Butterfinger Blast. Check out their newest location in Lincoln Square in Bellevue! Keeping the competition fierce is Seattle’s baby Top Pot Doughnuts. These charming cafés offer delicious treats- including their infamous pink feather boa (pink iced with shredded coconut), along with their own signature line of coffee that is hand-roasted in small batches. Enjoy one of the eight locations around the area, or watch for the mobile unit coming your way! This is a classic and another award winner- taking home the sweet victory of King 5’s Best Doughnut in Western Washington! Serving fresh donuts since 1959- the Original House of Donuts is renowned for their Cherry French Curler and Old-Fashioned Buttermilk Bars. After 30 years spent perfecting the recipe, and millions served- the café was restored in 2013- and the secret recipe passed on to be continued for generations. Try them out in Lakewood and Tacoma. Though donuts are always a great breakfast treat, they can also be the perfect ending to a meal. For a decadent ending to your dinner – we suggest Sicilian donuts at Palomino (Seattle and Bellevue) where warm freshly fried, shaken in a paper sack with sugar and cinnamon and served with mascarpone cream and warm Nutella chocolate sauce. Yes, please! Tom Douglas's Dahlia in Belltown also does made to order donuts to perfection – shaken in sugar and served with seasonal jam and vanilla mascarpone – any time of day. Vegan donuts? Why not? 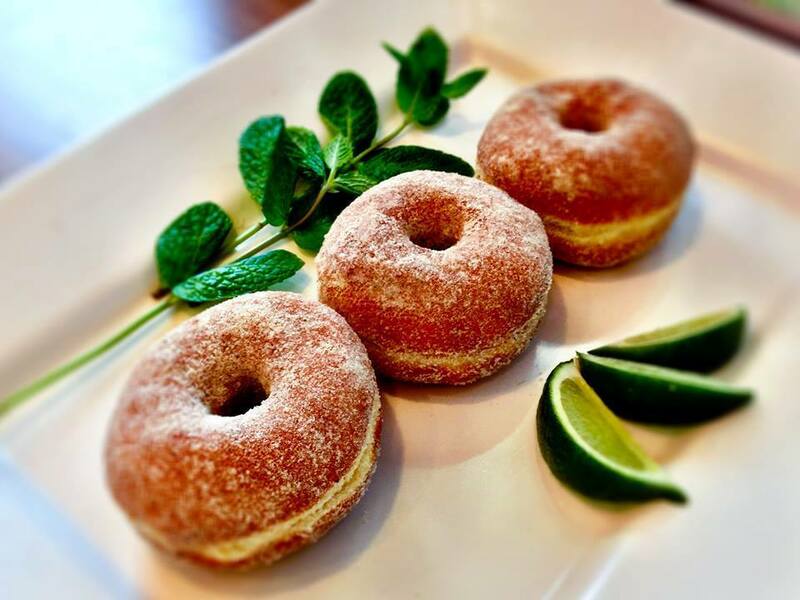 Mighty-O is very serious about their mission to serve the best organic vegan donuts around- and we’re telling you, they’re on to something! Try the Cuckoo for Coconut, French Toast or the Naked Cake…. and see for yourself how good vegan can be! Public tours and parties are available as well. Trivia: Why do donuts have holes? 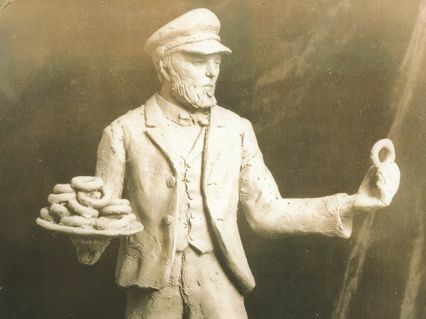 Answer: According to Wonderopolis.org, American seafarer Hanson Gregory invented the donut’s hole I 1847 while at sea. He love the edges of the traditionally fried cakes, but found the centers to be greasy and doughy. He suggested poking a hole in the middle so that the pastries would be consistent throughout. What a genius!